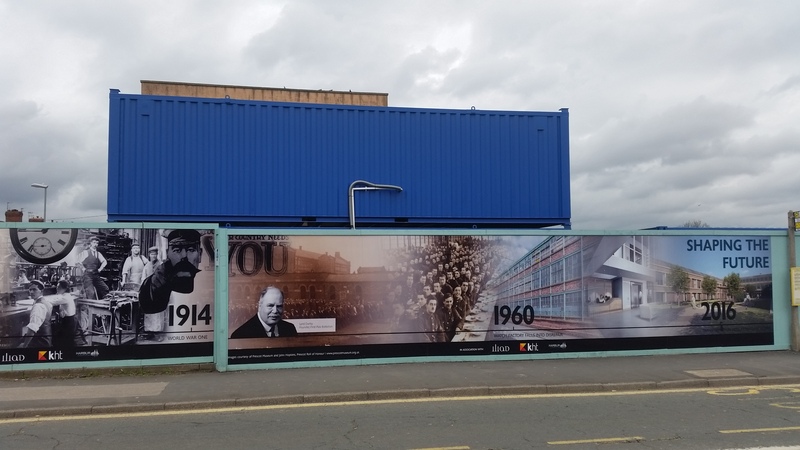 With construction well underway on the site of Iliad’s latest development, Prescot Watch Factory, marketing signage depicting a unique interactive timeline of the Grade II-listed building’s heritage has now been installed and is already gaining much appreciation from local residents and historians alike. 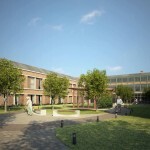 Prescot Watch Factory is an exciting new scheme in collaboration with KHT, providing an extra care village for elderly and infirm residents with a desire to live independently with much-needed additional care. 54 self-contained apartments and 16 semi-detached bungalows overlooking landscaped gardens will see the scheme breathe a lease of new life into the heart of Prescot town’s Albany Road. 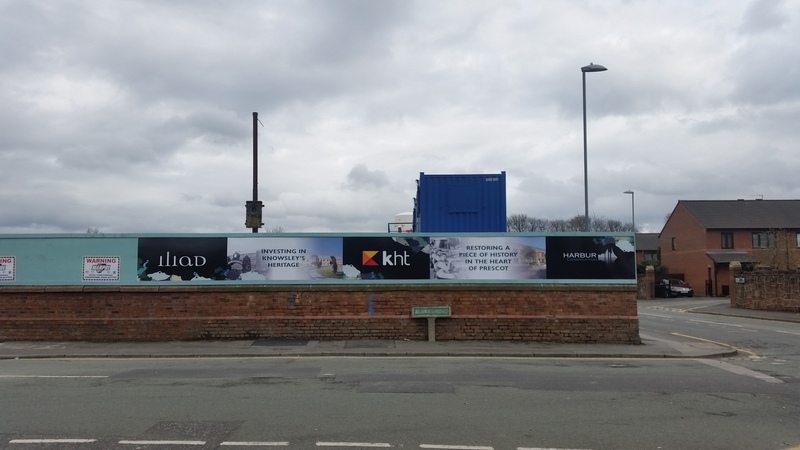 Images for the signage lining the perimeter hoarding of the former factory were provided to Iliad by John Hopkins and the team at Prescot Roll of Honour, a wartime-specific history website maintained by local resident Stephen Nulty and a network of similarly passionate individuals. 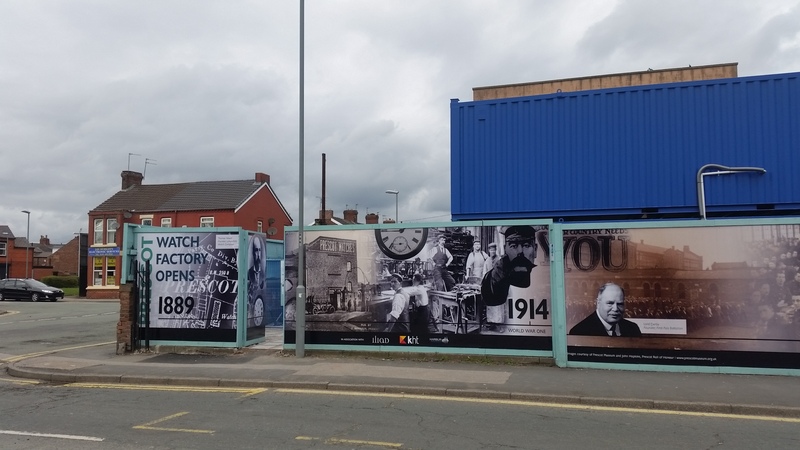 These fantastic photographs provide an insight into Prescot’s industrial and patriotic significance, with Lord Derby’s personal involvement in the economic growth of the area and support for Merseyside’s troops fighting in World War One.